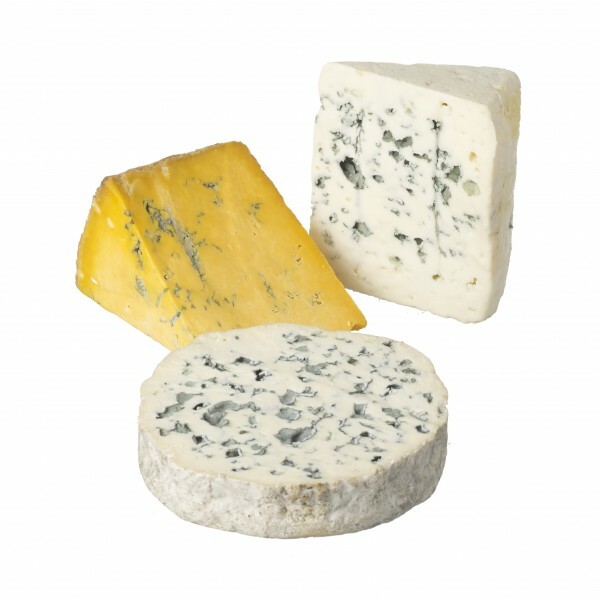 A collection of three classic blue cheeses from France and the UK. For true lovers of blue cheese! This collection contains three classic blue cheeses. It fits into our Small Gift Box. Fourme d'Ambert PDO (pasteurised Cows' milk, traditional rennet) - made since the Middle Ages, this firm textured, creamy cheese has a distinctive cylinder shape and a mild, fruity flavour. Roquefort PDO (unpasteurised Sheep's milk, traditional rennet) - famous blue cheese aged in the caves at Combalou. It is tangy, and salty with sweet notes.